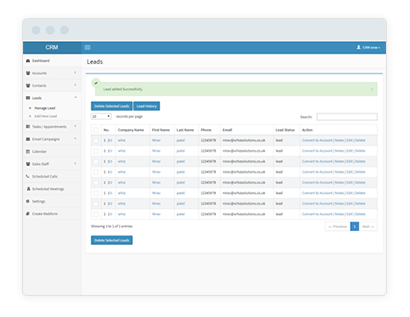 Our comprehensive CRM helps you to stay in contact with your clients. You can create email campaigns with customised email templates, create tasks and appointments, lead management and much more. 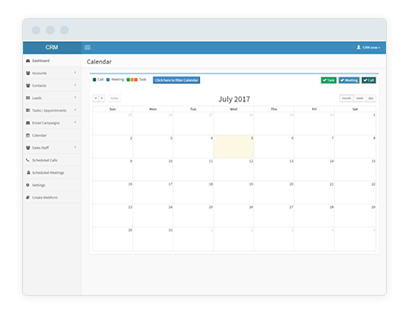 Our CRM system is continuously updated with new features to make it more useful for you. 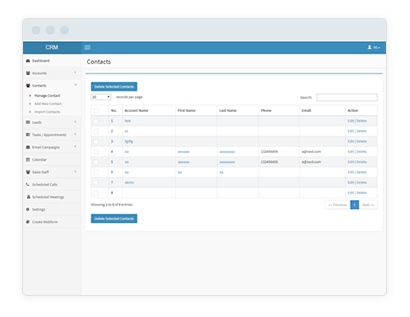 The Contacts module is dedicated to manage your contacts and to keep track of all relevant communication. The Contact window does not only contain standard contact information, but also related business opportunities and projects and it also collects all email communication. This module is extremely helpful to manage all customer’s demands, requests for proposals and business opportunities. A window of a Lead is the place where sales representatives keep track of their email and phone communication. 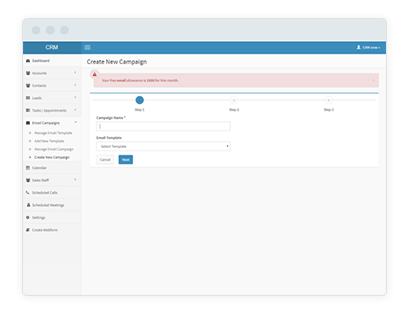 Easy CRM can be combined with an e-marketing application to target the right customers with the right products and to analyse their performance during an email marketing campaign. Over time, you can build up an understanding of what attracts customers to your products/services and how they behave at the same time as viewing the information in your marketing email and in your website. This provides you with a very powerful means of reaching your target users and giving them best information in the best format. Easy CRM Tasks provide a simple way of creating a reminder of something you need to do. They can be used as a reminder for such things as a meeting, phone call or submission deadline. You can link tasks to contacts or you can simply add a task as a reminder for yourself. Setup the daily task reminder email as well to get an email when you have tasks due. The calendar view gives you a month by month view of all open tasks, including those from tracks.